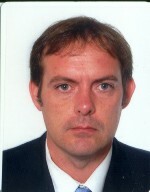 Senior Procurement & Talent Acquisition Manager EMEA at Sodexo S.A.
Whilst seeking a full time role abroad in the Procurement & HR sector, Stewart is a Master’s Degree qualified, (>12 years experience), HR Specialist & Professional Service Management Consultant to SMEs & ILAs Globally Tri-lingual with a multicultural background, based in Italy for 30 years and worked & lived in Holland, Germany & France on a frequent basis for Japanese, Italian & French Global Organizations. Extensive past experience as a Pan European Senior Procurement & Talent Acquisition Director (EMEA) in multi-cultural and multinational contexts at Pan-European levels in diverse sectors. Advisor to HR directors / CEOs / Board of Directors for mergers, acquisitions, restructuring, strategy, assessment projects, personnel. Very strong negotiator, experienced in sourcing top talent from across the globe, and in charge of a multicultural team to deliver positive results. Fluent in both English and Italian with excellent French. Successfully negotiating international and pan-European framework agreements for all FUJIFILM entities, and consolidating and standardising pan-European commodity and service contracts concerning hardware & software. •	Achieved major annual rebates using the afore mentioned as levers. •	Communicating across Pan- European countries and cultures with Global vendors at Executive level. •	Developed and implemented sourcing strategies which achieved overall objectives set by Tokyo. Advanced Negotiation Techniques, Multicultural Communications (De BaaK Institute [Antwerp] and Microsoft Excel Certification. Ex Professional American Football Player in Europe (Linebacker). Join Today to follow and contact Stewart Conal Wynne.